I'm so, SO excited to finally be sharing this shoot with you! 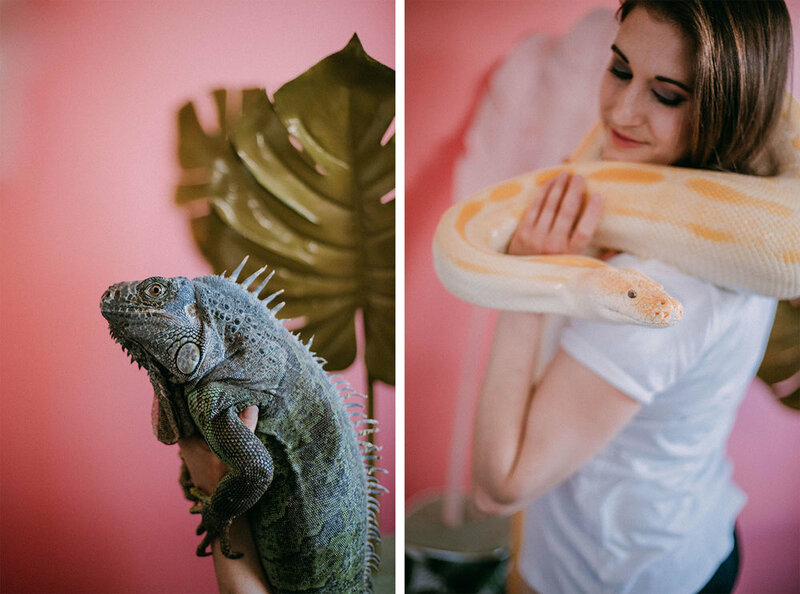 I connected with Jamie earlier this winter and we collaborated to put together this dreamy, fun shoot at her animal rescue, Kingdom Animalia! I was able to come and hang out for the afternoon, meet + hold all of the adorable animals, and hear a little bit about her heart behind the rescue. Most of them are exotic species that were kept as pets and then surrendered due to their owners passing away, moving, or just not being able to properly care for them. 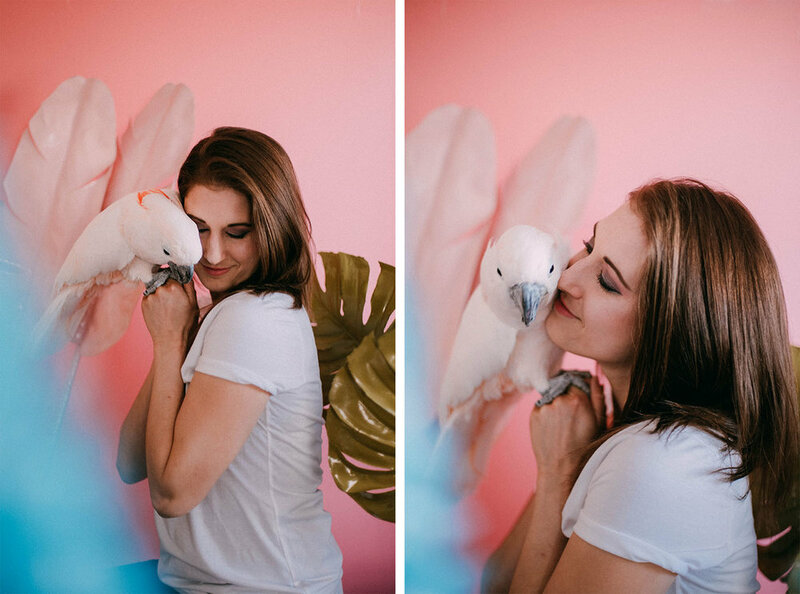 It was an absolute joy to see how deeply she cares for all of the different creatures, as well as all of the super neat opportunities she has to educate the community on the various species she's rescued. Please check out all of the work Jamie is doing and support her mission!